About Us :: Hackl Pool Construction Co., Inc.
Hackl Pool Construction Co., Inc. is a family owned business located in Palm Beach County, Florida. 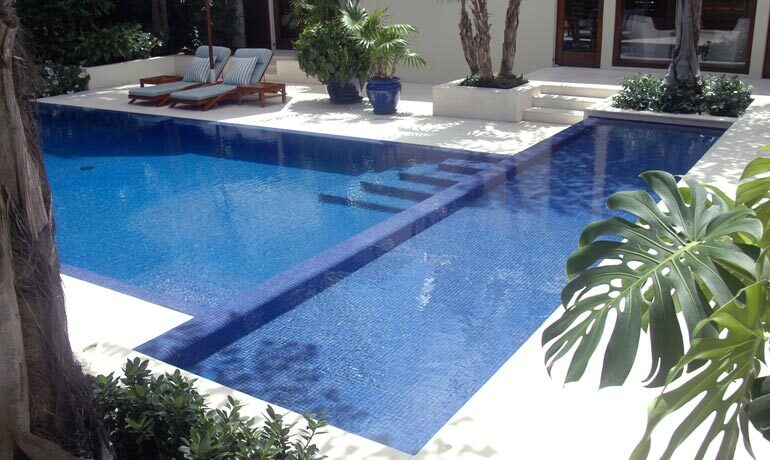 Established in 1957 and now in our third generation, we specialize in custom residential swimming pool, spa and fountain water feature construction and renovation projects. Some of our specialties include complete glass mosaic and ceramic tile interior finishes, vanishing edge effects, fiber optic lighting, formal and interactive fountain features. From design concepts through completion, Hackl Pool Construction Co., Inc. enjoys the unique challenges associated with elegant and distinctive, one-of-a-kind pool and water feature projects. We take great pride in delivering the desired results with the highest quality of workmanship. Affiliated with The Florida Swimming Pool Association and are recognized as a multiple design award winner at both the state and national levels.